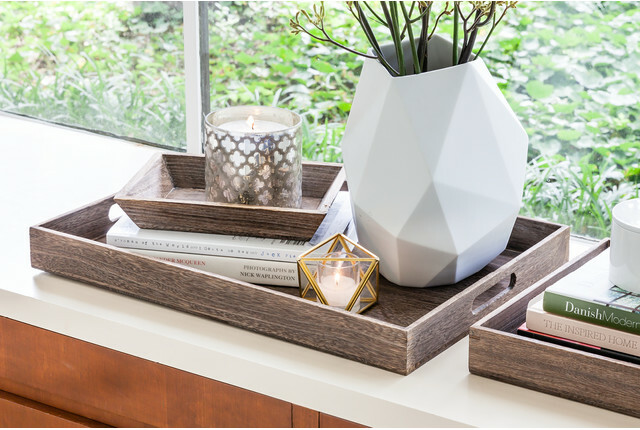 What is the dimensions of the square acrylic storage tray? Our Rectangular Acrylic Tray measures 23&quot; x 16&quot; x 2-1/4&quot; h. The depth of the edge is 2&quot;. Can these trays stack together? Our Rectangular Acrylic Serving Trays were not designed to stack together securely. Is this tray food safe? We don't recommend our Acrylic Serving Tray for direct contact with food.